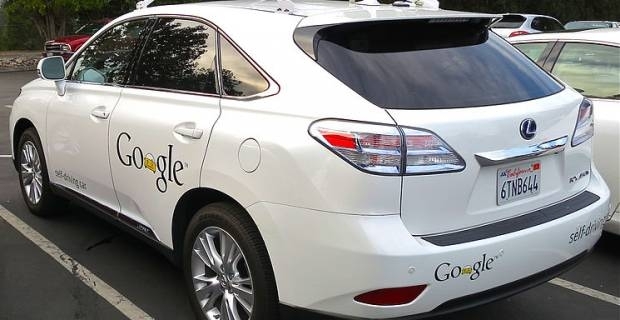 Google's Driverless Car - The Future? Google is best known for it's supremacy in the digital world of Internet software, however, there is more to the company than just seach engines and email clients. The Google driverless car project is led by Sebastian Thrun, co-inventor of Google Maps and promises to influence the future of motorised transport for us all. In September 2012, Jerry Brown, then Governor of California, made a decision that could have tremendous reverberations for years to come. Brown permitted that, from 2015, automated cars would be legally entitled to drive on the roads of the west coast U.S state. This wasn't a breakthrough by any means - the law had already been in effect in the U.S state of Nevada since March, but it emphasised that the future of human drivers could be on the way out. Enter Google's driverless car, a futuristic machine that, as the name suggests, can navigate the busy streets without a human being controlling the wheel. As 2012 drew to a close, Google's convoy consisted of at least ten vehicles, including six Toyota Prius, three Lexus RX450h and an Audi TT. Inhabited by drivers with spotless vehicle records, for emergency reasons, these cars circle the globe, mapping the roads as they go. These future-cars aren't perfect just yet, however. In August 2011, Google experienced it's first driverless crash and has since seen another of it's cars rear-ended at a stoplight. The automated vehicle has also been the target of concern over safety and the possibility of job redundancy and it has been noted that the lawbook would have to be completely rewritten to compensate for these modern cars. Google's driverless car project is a very exciting glimpse into what our future could hold and with an accumulated total of over 300,000 autonomous driving miles reached by the start of 2013, the technology could arrive sooner than we think. However, whether the transition will be a smooth one remains to be seen.